Trevor J. Warden joined the firm in 2015 as an associate attorney. 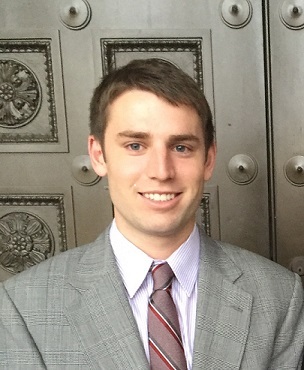 He is a 2015 Graduate of the University of Arkansas School of Law, Fayetteville, Arkansas. He has been admitted to practice law in 2015 in the State and Federal Courts of New Jersey. He represents clients in all tort matters including accident cases, medical malpractice, and worker's compensation matters. He also will be assisting clients in municipal court matters, traffic infractions, and other criminal matters. Trevor will be assisting clients in the area of employment law and employment discrimination. Admitted to U.S. District Court, District of New Jersey, 2015. University of Arkansas School of Law; Fayetteville, Arkansas. (J.D., 2015). Cambridge University, Downing College, England, Study Abroad Program, Summer 2014. Civil Litigation; Tort Law; Product Liability Law; Automobile Negligence; Premises Liability; Worker's Compensation Law; Employment Law; Discrimination Law. © 2018, Bongiovanni, Collins, & Warden P.C. Attorneys At Law. All Rights Reserved.